860-930 # s/88, high tarnish resistant & reusability. 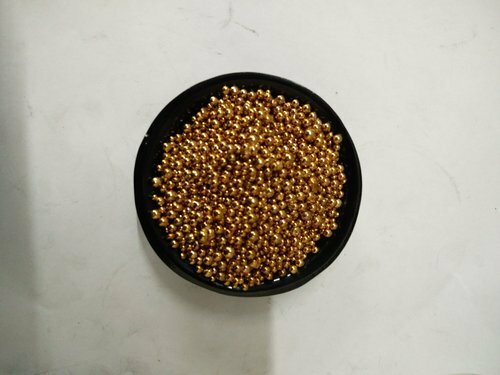 Established in the year 2009, we "Ransa Inc." have emerged as an accomplished manufacturer, exporter, wholesaler, retailer and importer of an impeccable range of Gold Alloys, Soldering Alloys, Brass Broze Alloys, etc. We are capable to cater clients as per their needs and preferences. Due to their numerous benefits, these alloys are widely acknowledged in diverse industrial applications. We export our products globally. All these alloys are developed at our state-of-the-art manufacturing unit, which is fully-equipped with contemporary tools and hi-tech machinery. These advanced facilities support us in developing a flawless range of alloys for our trustworthy clients. In addition to this, an experienced team of quality analysts appointed by us stringently tests these alloys during every stage of the production process. We dispatch the entire range of alloys after monitoring even the minute details with specified batch numbers, so that the best reaches at the clients' end. Due to all these qualitative attributes, we have become the foremost choice of our clients spread across the nation.